Darkus is miserable. His dad has disappeared, and now he is living next door to the most disgusting neighbours ever. A giant beetle called Baxter comes to his rescue. But can the two solve the mystery of his dad’s disappearance, especially when links emerge to cruel Lucretia Cutter and her penchant for beetle jewellery? A coffee-mug mountain, home to a million insects, could provide the answer- if Darkus and Baxter are brave enough to find it. Dr Bartholomew Cuttle is a clever man. Darkus is a sensible boy. The journalists were sensitive towards Darkus. Dr Bartholomew cares about Darkus. Dr Bartholomew had been gone for some time. The story was frustrating for the journalists. Summarise Darkus’s feelings in three words. Why did you pick these? Predict what might have happened to Dr Bartholomew Cuttle. Non-fiction extract: Website about beetles. Retrieve and record what you consider to be the 3 important parts of information. Why do you think it’s important to have people like Dr Bartholomew Cuttle, who devote their lives to the study of beetles? What’s the song about? How do you know? What’s your favourite part of the song? Why? Summarise the song and tell a member of 6C. My mother is still alive, and she is going to come for me one day. Everyone thinks that Sophie is an orphan. True, there were no other recorded female survivors from the shipwreck which left baby Sophie floating in the English Channel in a cello case, but Sophie remembers seeing her mother wave for help. Her guardian tells her it is almost impossible that her mother is still alive, but that means still possible. You should never ignore a possible. 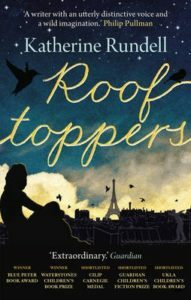 So when the Welfare Agency writes to her guardian threatening to send Sophie to an orphanage, she takes matters into her own hands and flees to Paris to look for her mother, starting with the only clue she has – the address of the cello maker. Evading the French authorities, she meets Matteo and his network of rooftoppers – urchins who live in the sky. Together they scour the city for Sophie’s mother before she is caught and sent back to London, and most importantly before she loses hope. Nobody had cared about the baby until she was rescued. The woman makes unfair assumptions about Charles. Charles is a clever man. Sophie picked her own name. Charles can’t believe what the woman is saying. Do you think Sophie will be as affected as Darkus, about the loss of her parents? Why do you think this? Write a diary entry as Darkus, on the day that Bartholomew goes missing. Write a police report about the disappearance of Bartholomew Cuttle. 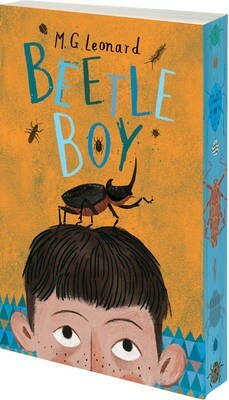 Remember to magpie or allude to MG Leonard’s vocabulary and style of writing, so that the reader can tell that your text and Beetle Boy are interrelated.